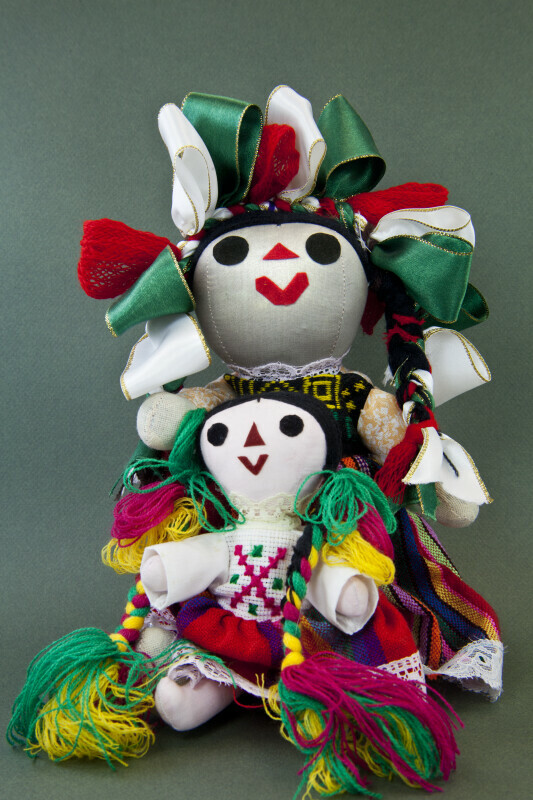 Stuffed Mexican girl doll wearing a traditional woven print dress with white lace trim and embroidered bodice. Her facial features are created with felt pieces. She has black yarn braids, tied with ribbons. Her headband is created with red, white, and green ribbons. A small doll is also in the photo, with similar features. The figure stands 13 (32 cm) inches tall.